Phenobestin 37.5 is a diet pill that claims to aim to decrease appetite and improve mood and energy levels by working on a neurological level. There is very little independent customer feedback to go from, so we dive straight into the ingredients themselves to find out what the side effects are and whether Phenobestin 37.5 actually works. 9 comments Page updated Feb 4, 2019. First published Jun 19, 2014. Phenobestin 37.5 is not a herbal pill according to the manufacturers. Instead, it is a legal alternative to banned prescription drug Phentermine, sometimes better known as Adipex. 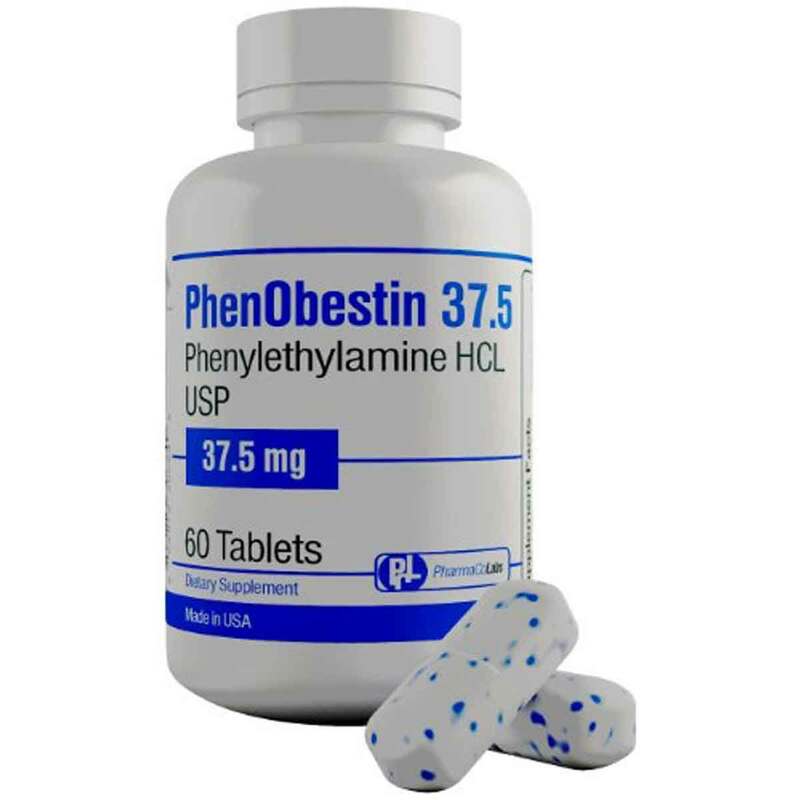 But, is Phenobestin really a Phentermine substitute or is it just that the name sounds similar? Phentermine comes with some serious side effects, so we look into Phenobestin to find out if it is a safe alternative and what it actually does for weight loss. Trading on the Phentermine name is not unusual in the diet pill industry. It makes a diet supplement sound powerful and dangerous, which gives it an edgy appeal. Phenobestin is described as an alternative to Phentermine, and claims to provide all of the benefits of rapid weight loss without any of the dangerous side effects. Even the name Phenobestin 37.5 mirrors the usual Adipex dose of 37.5mg. 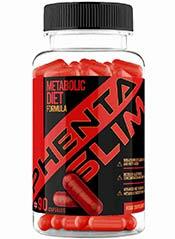 Phenobestin 37.5 is a US diet pill that can be loosely categorised as an appetite suppressant. 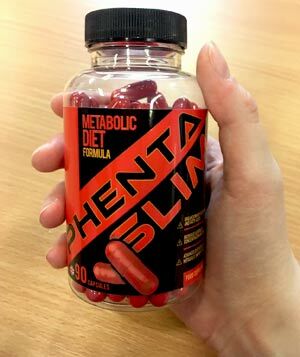 According to PharmaCo Labs the manufacturers, taking this pill affects your central nervous system, targets fat cells, and reduces your appetite. An added benefit is that Phenobestin 37.5 enhances your mood and energy levels, putting you in the zone for exercise and weight loss. The Phenobestin advertising emphasises the similarities between Phenobestin and Phentermine as well as Phentermine drug Adipex, and suggests that if your doctor will not prescribe Phentermine then Phenobestin is the next best thing. Don’t be fooled though, Phenobestin is NOT the same as these prescription drugs. 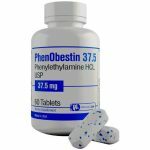 The name Phenobestin – is itself a reference to Phentermine, a notorious slimming pill that is banned in many countries but still available under prescription in the USA and other countries. To use Phenobestin, take 1-2 capsules with breakfast and 1 capsule with lunch, and do not exceed 4 capsules a day or take after 5pm. Although Phentermine is still available by prescription in many countries, these days doctors are not so fast to prescribe it as once they were. 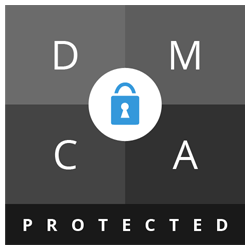 It is listed as a controlled substance and is illegal to buy privately. There are also numerous side effects associated with Phentermine including it causing long-term damage to heart valves, heart disease, and addiction. It comes under many different trade names including Duromine (see our earlier article) and Adipex – mentioned in the Phenobestin advertising and a well-known USA Phentermine drug. Phenobestin contains some powerful ingredients and although the advertising states that this is not a herbal pill, some of the ingredients are derived from natural products. Despite the medical look of the website, some informative articles and some images of doctors in stethoscopes, there is very little information about how this diet supplement actually works. It is not medically endorsed and there is no scientific proof or any details of clinical testing which is a matter of concern. What does Phenobestin 37.5 claim to do? Contains ingredients which curb the appetite, gives you lots of energy and improves your well being. Some of the claims made by Phenobestin are more modest. If you have extra weight that you are trying to lose, you will 100% benefit from PhenObestin37.5. Losing a few pounds will improve your overall health for the long term. Despite this, the fact that the website works by telling you all about the benefits of Phentermine and Adipex and then takes you to Phenobestin, the underlying message is that Phenobestin is essentially the same product, only safer! If this were true, Phenobestin would be as well known as Phentermine and would be heralded by the medical establishment as a breakthrough. According to the advertising, Phenobestin 37.5 is the ONLY alternative to Phentermine and Adipex. Phenobestin claims to help you lose weight fast. You may lose some weight short term by using but it is not a way to lose weight in the long-term because once you stop taking the pills, your weight will pile back on. The fact that the ingredient amounts are not listed and there is little attempt to explain the complex chemical processes that this diet pill supposedly causes, makes Phenobestin look slap dash and potentially dangerous. It is essentially a cocktail of stimulants. Phenobestin 37.5 is a diet pill that aims to decrease appetite and improve mood and energy levels by working on a neurological level, according to the advertising. It is an essentially a stimulant and contains five key ingredients. All of these works on the function of the brain at a chemical level and all have been tested on animals, but not necessarily humans. You might not care about that, but many of these ingredients have potentially dangerous side effects and are simply untested for long-term use and safety. Phenobestin 37.5 is crammed full of stimulants and ingredients that do not play much of a role in weight loss but have a lot to do with your adrenalin. It will likely cause side effects, raise pulse and blood pressure, and it may help you lose weight by making you feel too keyed up to eat. We have serious concerns about its safety and the fact that two of the ingredients have been flagged up by the FDA as potentially dangerous is a further cause for concern. As if anyone is actually going to do that! The fact that Phenobestin does not provide any health information or warnings around potential side effects is a real warning flag and these badly written disclaimer clauses are a serious matter for concern. How will any consumers know potential side effects if the company do not provide adequate information? Side effects may vary from the usual stimulant side effects such as anxiety, jitteriness nausea, and itchiness and sleep disturbances to the more serious effects including an elevated heart rate and increased blood pressure. Dangerous in some circumstances. You may find your body reacts to Yohimbe and this causes nausea and vomiting. You may be visiting the bathroom more frequently due to the Theobromine Anhydrous content. Long-term side effects of Phenobestin are unknown at present. The side effects of Phentermine were unknown for decades until it transpired that the drug caused permanent damage to heart valves. Caution: We do not advise that anyone takes Phenobestin 37.5. If you have a heart condition, suffer from high blood pressure, psychiatric problems or a history of substance abuse you must avoid this product. Avoid if you are pregnant or breastfeeding. Independent customer feedback is unavailable for Phenobestin 37.5. This product is only available from the product website. Genuine customer reviews are therefore unavailable and if you have used this product yourself, we would love to hear from you. There appears to be no money-back guarantee on offer. You can buy Phenobestin direct from the product website. One bottle of 60 tablets costs $64.95 and you can make savings by buying in larger quantities. Three months supply costs $156.00. You may have to pay shipping costs. The good news is that the company do not operate an auto-billing programme. Our overall verdict is to avoid this product. There is a completely inadequate ingredients profile, which does not provide quantities, along with two of the ingredients have been flagged up by the FDA as potential health risks. The high stimulant content will probably leave you feeling wired and jittery at least. Although feeling too keyed up to eat may be a way to lose weight, if the contents of this supplement are in sufficient quantities to work, they will cause these stimulant side effects. It is the way that Phenobestin works. This supplement isn’t cheap and with no money-back guarantee there are much better alternatives on the market, they are safer too. We reject Phenobestin diet pills. How does Phenobestin 37.5 compare to Phentaslim? page, as i want enjoyment, for the reason that this this web page conations truly nice funny material too. I ordered these pills used them for a few days and they made me sick, so I emailed the company, they told me to mail back the remaining pills and so I did forba full refund, been trying to get my refund for a month and have been emailing them everyday and they won’t respond back, I needed the money back, and I’m very sad that a company can treat people like this, they even canceled there phone service where they can just receive emails, and still that won’t answer me back, in at a big lose! Help me!!! Can anyone help me get my money back or is it a loss? This company is very fishy, the product is packed with high dosage of caffeine and they disguise the consumer without properly disclosing REAL INGREDIENTS! ITS FAKE and this product is really dangerous to your health! Trust me, I have taken it, the reason why people feel sweaty and jittery it hits the heart system BIG TIME! Its like having 10 coffee shots at once! Good luck! BEWARE. Something is up with this company. No emails are getting sent through and they have stopped people from submitting reviews claiming that it’s a technical issue (my cookies are always turned on). I need to send back the product because it was having some very bad side effects but I cannot get a hold of anyone. RED FLAG. I had used phenobestin for a month and if you follow the directions and use accordingly, the pills do work. You do feel jittery after taking the pill which I hate, I also sweated more which I hate and I would get horrible headaches. I quit using them because of these factors but if you can put up with all the side affects, a great diet pill! Ha! O and no matter how tired I was, I would fight trying to actually fall into a deep sleep. I think I’ll work out harder and cut back a few more calories than to ever buy another bottle of these! But like I said if the side affects weren’t so many, I would recommend using these if you needed to loose a couple of pounds fast!